March 2016 home sales in Trumbull CT were UP 56% as compared to March 2015 sales. The average listing and selling prices for March went down 8% and 7% respectively. The median home price increased 1%. Going forward, there are 62 homes under deposit and 52 sales pending, putting Trumbull in another good position for a sales increase. The market absorption rate came in at 6.80 months which is statistically a buyer's market. This means at the current pace, it would take 6.80 months to sell off the inventory of 170 homes. 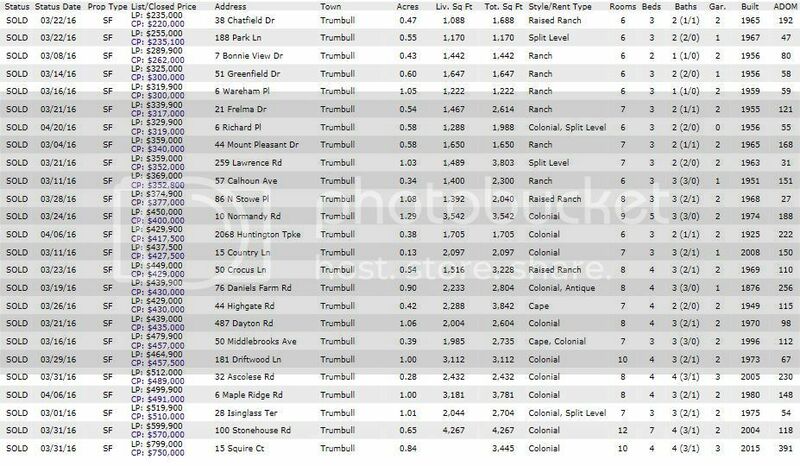 Which houses attracted buyers and sold in Trumbull CT in March 2016? The absorption TREND, which shows the number of months it would take to sell the entire inventory at the same pace, came in at 7.08 months for the last three months. 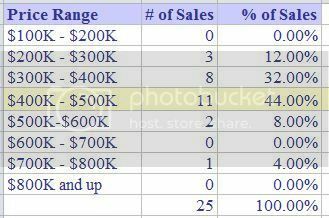 Sales jumped up 31% from last month and are positioned to be even better next month. 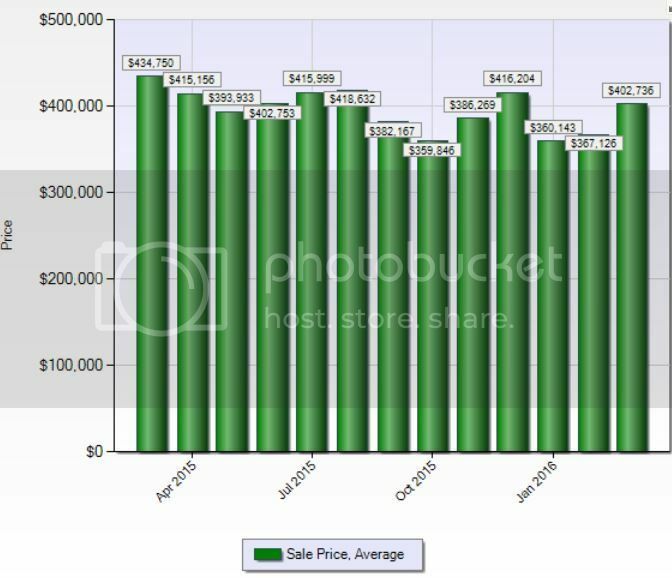 Sales averages for the last year.... solid increase from the last two months. 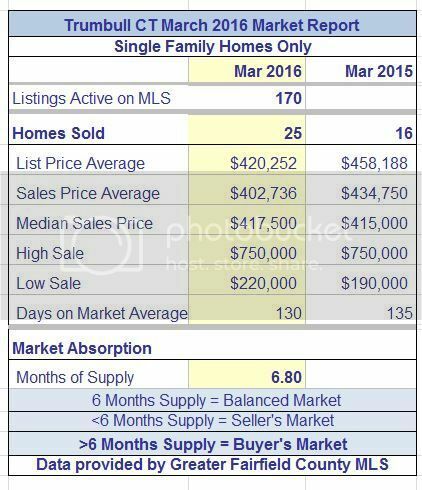 Date Source: Greater Fairfield County Multiple Listing Service -- April 25, 2016. No representation or warranty is made to the accuracy of this information.